The Huawei P20 Pro smartphone boasts the highest-scoring smartphone camera ever evaluated by DxOMark, sitting head and shoulders above its competition with an overall score of 109. 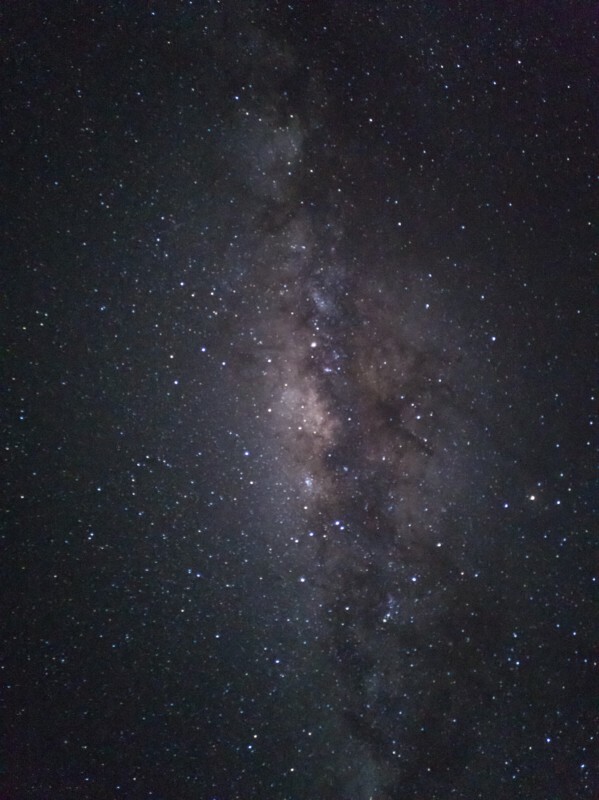 Here’s how good the on-board Leica triple-camera system is: you can shoot beautiful shots of the Milky Way in the starry night sky. Cheong shot the photo in Camera Pro mode at ISO 1600, 20s, and f/1.8. The phone was mounted to a tripod. 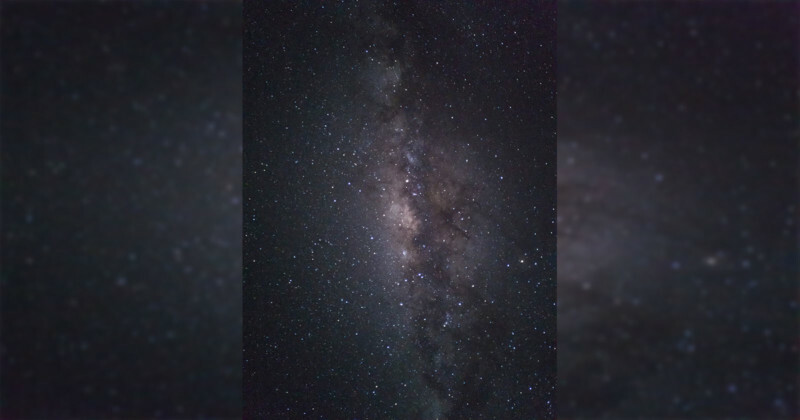 “I currently on Reunion Island, which has a very clear night sky free of light pollution, so it was the ideal conditions to test astrophotography with the Huawei P20 Pro,” the photographer tells PetaPixel. Camera Pro mode allows the user to manually control all the phone’s camera settings. Cheong experimented with the same range of values he shoots with on his DSLR before settling on ISO 1600 and an exposure time of 20 seconds (the f/1.8 aperture is fixed). What resulted was a DNG raw file that Cheong then edited using Adobe Camera Raw, adjusting white balance, clarity, vibrance, contrast, and noise reduction.